The list below of Fetes & Fairs across Sydney will certainly be packed with family-friendly fun entertainment that everyone can enjoy! Details: This twilight festive atmosphere will include food, fitness and fun, with events including celebrity cooking demonstrations, celebrity fitness demonstrations, cultural entertainment, children activities, amusement rides, tasty food stalls, firework displays and more. Click here for website. Details: This exciting event will feature a fun country fair with markets, live music, rides, relics, train rides including steam train rides, heritage bus rides, entertainment, workshops, demonstrations, museum entry, village fair and more. Click here for website. Details: This Inner West longest running fete will include loads of fun with amusement rides, art & craft, games, chocolate wheel, entertainment, activities, cake stall, food stalls and more. Click here for website. Details: Welcome to the world of Africa with this fun family-friendly cultural festival! The event will showcase a range of entertainment, cultural performances, activities, workshops, kids activities, face painting, rock climbing, live music, cultural entertainment, drum shows, delicious African foods, jumping castle, sport events including soccer tournament, fashion parade and much more. Click here for website. Details: This Fair will showcase an extensive range of contemporary art for viewing and purchase, market stalls, cake and flower stalls, kids games, activities, showbags, face painting, amusement rides and more. Click here for website. Details: This Fete will showcase a range of entertainment, games, rides, chocolate wheel, prizes to be won, market stalls, activities, novelty races and more. There will be an unlimited ride pass available on the day for $30pp. Click here for website. Details: Everyone will love this Fair with antique & collectables, baby & kids fun fair activities, festival entertainment, music, market stalls, games, free amusement rides, photobooth, showbags, carnival games and rides and more. Click here for website. Details: Australia's largest Easter show is back on again since first celebrating this event in 1823 and still going strong. This show will include food galore including fresh produce, over 14, 000 animals on display, shopping, exhibitions, amusement rides, show bags, carnival rides, competitions, displays, shows, live entertainment, arts & crafts, nightly firework displays and more. Click here for website. Details: Everyone will love this event, with non-stop entertainment, racing pigs, Looney Tunes stage performances as well as other character stage performances, activities, showbags, food stalls, amusement rides, games, zoo safari and more. Click here for website. 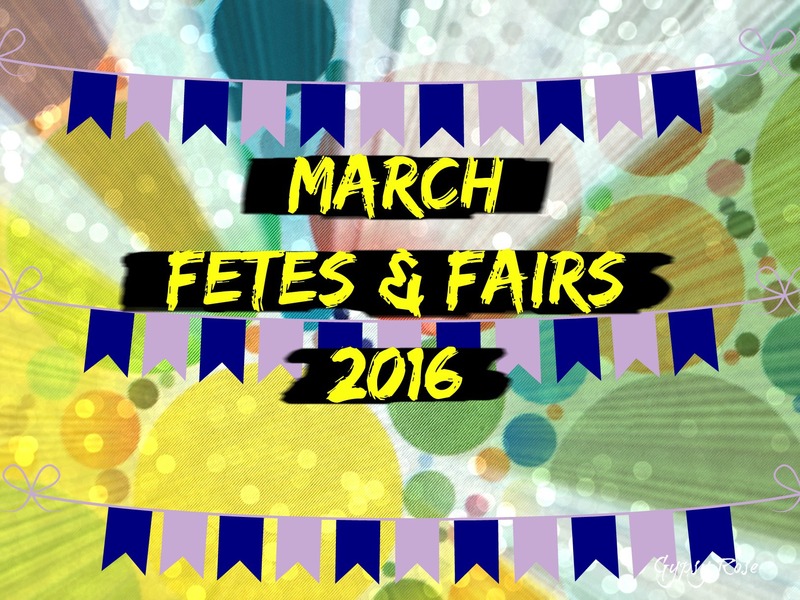 There's also the West Ryde Easter Parade & Fair on Saturday 19th March.